On display at the static park the Global 6000 jet will make its Russian debut with the industry-leading Bombardier Vision flight deck, alongside the Challenger 605 aircraft, the Challenger 300 jet and the Learjet 60 XR aircraft. "The Russian market for business jets truly is prevalent in Moscow," said Christophe Degoumois, Vice President, Sales, Russia, CIS, China, Asia-Pacific and Australia, Bombardier Business Aircraft. "With the industry expected to grow substantially over the next 20 years, Jet Expo is the perfect opportunity for us to highlight the class-leading attributes of our jets. 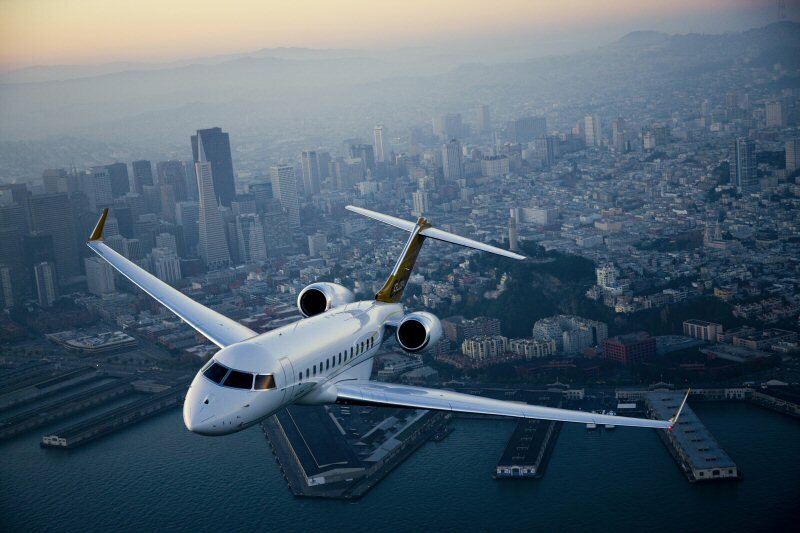 "Additionally, we are delighted to officially present our new Global 6000 jet in Moscow for its Russian debut. With the new Bombardier Vision flight deck, superior cabin, and world-renowned Global jet performance, this aircraft is a cut above all others in the large cabin and ultra long-range category," he added. "Russia is an important market for us, and we continue to develop long-term relationships. It is a market that retains true brand loyalty and this year's show is just one such chance for us to promote our strong brand and build further upon our existing relationships," explained Degoumois. Learjet 60 XR aircraft: A proven model that combines performance, comfort, value and technology to a new level in the midsize category, the Learjet 60 XR delivers a high cruise speed of Mach 0.81 (863 km/hr) with superior climb capabilities, proven fuel efficiency and low direct operating costs*. This jet can rapidly fly its passengers above the traffic and make use of the more favourable winds up at 51,000 ft (15,545 m) which translates into time savings as a result of less traffic and turbulence. When loaded with four passengers and two crew it will fly 2,405 nm (4,454 km) and is able to fly from Moscow to Madrid*. Challenger 300 aircraft: The dependable Challenger 300 jet offers true transcontinental range and superior long-range cruise speed, with eight to ten passengers. Its 3,065 nm (5,676 km) range connects Moscow with Mumbai or Dublin non-stop with eight passengers and NBAA IFR reserves. Its superior airfield performance allows it to operate out of 5,000 ft (1,524 m) runways with ease*. The Challenger 300 jet offers the best performance and value in its class, combined with a dispatch reliability that has consistently been above 99.7 per cent, it has exceeded customer expectations since its entry into service in 2004. Challenger 605 aircraft: The revered Challenger 605 jet builds upon the legacy of productivity, quality and reliability of its predecessor, the peerless Challenger 604 jet, leading its market share segment throughout the world. Featuring one of the widest stand-up cabins of any large category business jet available today it can soar six passengers 4,000 nm (7,408 km); from Moscow to Shanghai, and also from Moscow to Dakar, as well as any city in Russia*. Global 6000 aircraft: The Global 6000 jet's unrivalled cabin size and levels of comfort combined with a stand-up shower and the Bombardier Vision flight deck means no other purpose-built business jet comes close in terms of high-speed range capability and traveller comfort. Offering the ultimate in technology, this intrepid jet can link Moscow with Los Angeles, Johannesburg and Singapore, non-stop, with eight passengers and three to four crew*. Bombardier, Bombardier Vision, Challenger 300, Challenger 605, Global, Global 6000, Learjet 60, The Evolution of Mobility and XR are trademarks of Bombardier Inc. or its subsidiaries. To view the photo associated with this press release, please visit the following link: http://media3.marketwire.com/docs/bbda.jpg.